4 billion years in the depths of time – the crust surface of Planet 9 stirs under relentless electrical activity. Abiogenesis erupts life into static complex carbon constructs – planetary scale synthesis of primary life setting the chain running towards the exponential intelligence gradient. Biological mutations set the fires of consciousness burning as the universe reflects upon itself, identifying its own deficiencies in self-perception and adapting. Base layers of life, interwoven vast structures of organisms in a perpetual struggle to build ever more intricate systems, are bound a single goal that yearns for complexity to reach this moment… The ultimate strand of intelligent biology, shrouded in its destiny to deliver the first flickers of synthetic consciousness, laying the primary neural networks – opening the doorway of sentience to the greater race. All life reaching towards the deliberate construction of the first greater artificial mind and the vast shell to encapsulate it… every entity bending to the universal will to evolve – to lay the foundations of Mechtropolis. 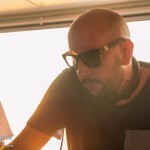 Eatbrain welcomes back MachineCode to their roster, a pair of pioneering producers (Current Value & Dean Rodell) who have torn a deeply unique path through the D&B sphere. 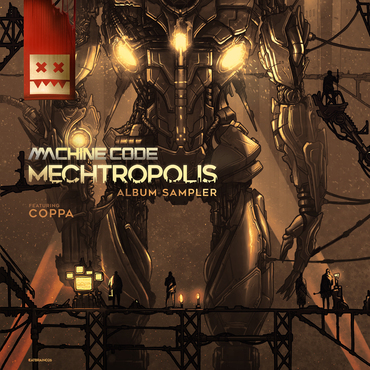 With the sampler for the MECHTROPOLIS LP, MachineCode demonstrate a small slice of their powers of experimentation with the dnb form – delivering 4 hard-hitting and precisely engineered neurofunk tracks with TEST RUN, SUBMERGED (featuring Coppa), MANOUVER & SPEAKER. Demonstrating their commitment to forward-thinking electronic music, Eatbrain unveil the foundations for the architecture of an elaborately built sonic city, built by a pair of the finest musical machines alive.